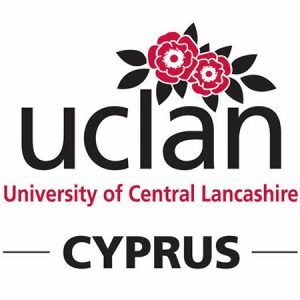 UCLan Cyprus is a Cypriot University and also the first overseas campus of a British University, the University of Central Lancashire (UCLan).It is the only university in Cyprus that can offer students the advantage of an honours or postgraduate degree recognised both in the UK and in Cyprus; truly international qualifications to enhance employability at home and overseas. What distinguishes UCLan Cyprus is its commitment to quality and standards. Students have to meet our entrance requirements in order to be admitted. Our teaching staff are required to have ‘Rolls Royce minds’ to enable the UCLan Group of Universities to continue climbing the QS World University Rankings, the most prestigious university rankings in the world. We are justly proud that UCLan was recognised as having one of the best law schools in the world; confirmed by UCLan’s entry in the Top 200 Universities for Law in the QS World Rankings 2012. Consequently, only the very best students will study Law at UCLan Cyprus. Very best students include those not only scholarly advanced but also and most importantly open to the world of knowledge and to outstanding learning experiences. Our Law students are spoilt! Not only are they educated by the best and sat with the brightest, but they have our digitally-driven multi-million Euro campus and facilities (including Cyprus’ first Moot Court Room) to help them realise their academic potential, guided by academics of the School of Law of UCLan Cyprus through this learning and living process. The full-range of academic and scholarly law courses are provided at UCLan Cyprus: an internationally and locally accredited Bachelor of Laws degree (LLB), a Master of Laws course (LLM) with five specialist paths (International Energy Law, EU Law, Law and International Security, International Business Law, and Financial and Commercial Law), a new Master of Laws (LLM) course in International Business Law and a new Master of Laws course in Financial and Commercial Law and (from UCLan UK) a PhD in Law, the highest achievement in academic scholarship. Following the UK tradition, our Master of Laws courses are open to law and non-law graduates alike, with mechanisms in place to ensure that all learners have a superlative experience in an international and multi-disciplinary setting. The School of Law is currently expanding its PhD student and post-doc population and is committed to growing the legal research culture and environment on the island and beyond, in a multi-disciplinary and innovative setting. The School of Law also ventures beyond the realm of law into the closely related field of international relations, with its Master of Arts (MA) in Security and Diplomacy Studies. Cyprus has much to contribute in the field of international relations, both in terms of experience and expertise, illustrated by its favourable geopolitical position, good diplomatic relations with a range of, often antagonistic (with each other), partners; and, the opportunity to play a central role in the stabilisation of a long troubled region. It is, timely, therefore, with its emerging credentials as a world-class University that UCLan Cyprus develops and consolidates its expertise in international studies. With the quality of academic staff one would expect from one of the leading Law providers in the world, library and IT facilities unsurpassed on the island, and passion for research and continuous professional development, the Law School at UCLan Cyprus has become, within a very short space of time, one of the leading institutions for legal teaching, research and knowledge transfer in the wider region. Its courses are designed to satisfy the requirements of the local professional market, whilst retaining the necessary international focus demanded of an internationally top-ranked Law School. Its research and knowledge transfer activities are of international standards and recognised as such. Whatever your areas of interest, whether they are more traditional ones, such as Corporate Law or Criminal Law, more specialised fields, such as Comparative Law, Competition Law or Commercial Arbitration and Mediation, or, in the wider context of the Rule of Law, Fundamental Rights and Peacebuilding, your needs and expectations will be more than satisfied at the Law School of UCLan Cyprus. Finally, a few words about the superior social, legal and professional skills the School equips the students with. Our students stand ready to face the professional world, including through our skills spines, our advanced skills training and professional courses, as well as our many co- and extra-curricular activities ranging from dining with the legal profession to international moots, and through our internship and graduate traineeship programme. Many of our students have already completed work placements in Cyprus, the UK or Europe and have been commended for their good spirit, character, knowledge and work. We also make sure they develop an entrepreneurship mindset and guide them through the process of realising their own projects and ideas, building a bridge between independent learning and independent undertaking. The settlement, mediation, negotiation, arbitration, resolution and other forms of dispute ution. 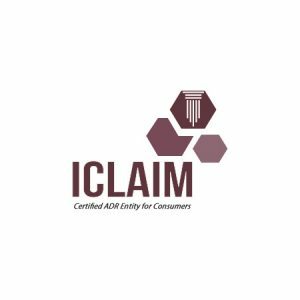 ICLAIM has recently developed a handbook for professionals and community members wanting to use social mediation in their work and communities which you can view digitally on this website. The Lancashire Research Institute of Citizenship, Society and Change brings together powerful research strands from four UCLan Faculties into a critical mass capable of extensive transdisciplinary work, well placed to respond to urgent and profound questions concerning a sustainable future, relationships among individuals and communities, arts and culture, public institutions of health, welfare and security. The Directors of the Institute are Professor Nicky Stanley, Dr John Whitton, Professor Ulrike Zeshan and Professor Lynn Froggett with research backgrounds that reflect the cross disciplinary nature of the Institute. In the wake of Brexit and in the context of austerity, a refugee crisis and mass migration, increase in global energy demand, climate change and environmental degradation, terrorism, violence against women and children, political instability and polarisation, the questions of citizenship, civil society and the constitution of public realm itself are in flux. Especially, the matter of how the future is to be imagined, who is to be included in any new settlement, and on what terms. The Institute will respond to the urgent need to find effective responses to these social challenges that demand new and bigger thinking by working together across disciplines and fields to generate new fields of enquiry, new questions and new responses. This Institute will be made up of 13 research groupings drawn from 10 Schools. From 2011 to 2016, these 13 groups were awarded nearly £6m in research funding, including from the EU Horizon 2020 programme, Big Lottery, public bodies, UK and European research councils, the Home Office, and local councils and trusts.